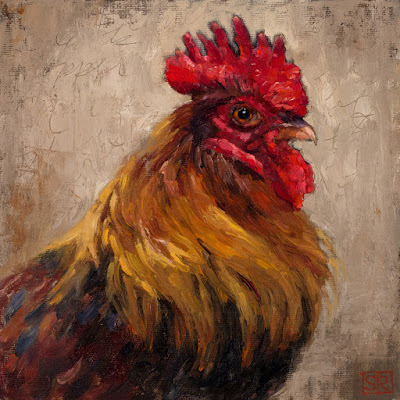 small canvases: The Year of the Rooster...or the Coxcomb? The Year of the Rooster...or the Coxcomb? French Black Copper Maran Rooster (sporting a glorious coxcomb), oil on canvas panel, 8" x 8"
A rooster is often characterized by his coxcomb: the fleshy crest found on the heads of many gallinaceous (you know, the order consisting largely of domestic fowl) birds. A variant meaning of coxcomb especially in Shakespeare and earlier literature is a loud, vain, and self-important man. 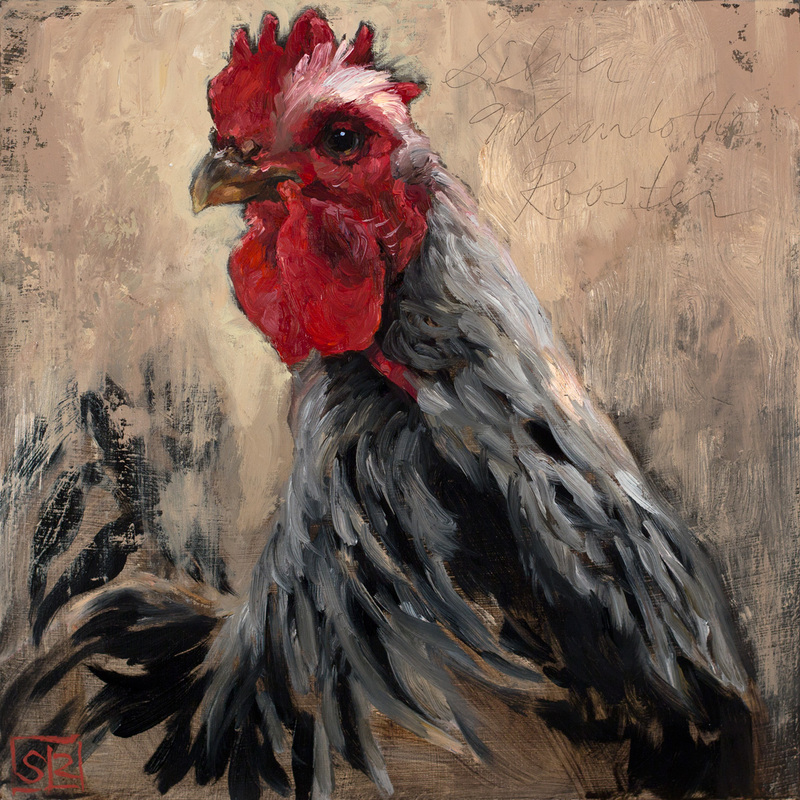 Silver-laced Wyandotte Rooster, oil on panel, 8" x 8"
So, in the spirit of synecdoche (a pronunciation trap for introvert readers if ever there were), whereby a part stands-in for the whole, I think it might be more apropos to rechristen this the year of the coxcomb. Apologies to the celebrants of the Lunar New Year and roosters everywhere.